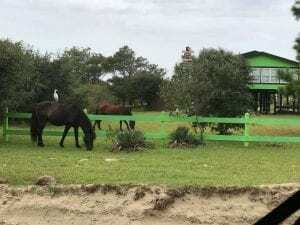 Wild horses in Carova this morning, enjoying an overcast breeze and some green grass. Here on the northern Outer Banks we are breathing a sigh of relief today. There may still be some coastal flooding over the weekend but nothing worse than a regular storm or nor’easter. These photos were taken this morning. 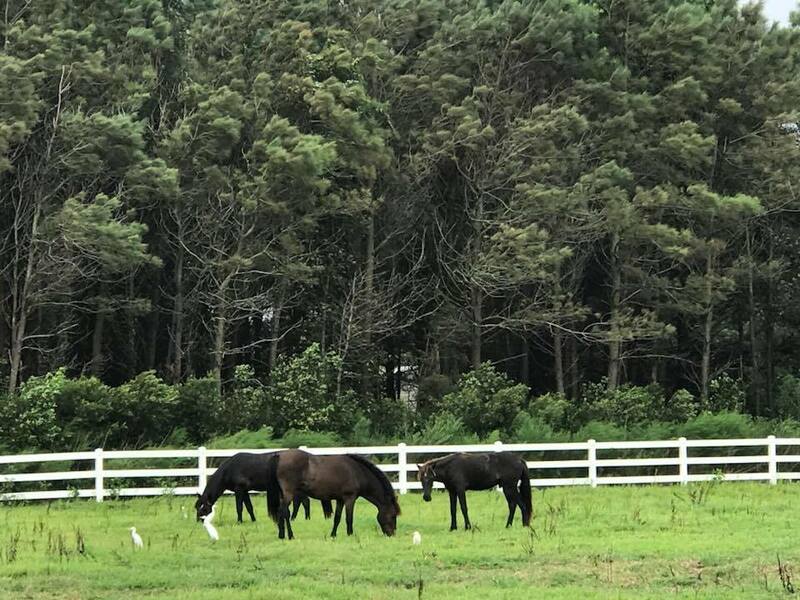 As you can see, the horses are doing their normal thing – grazing, socializing, and wondering what us crazy humans are all worked up over. With that being said, please keep our friends to the south in your thoughts. 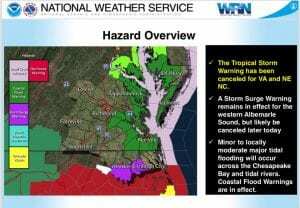 Inland portions of eastern NC are facing catastrophic flooding. Our hearts go out to them and we will post information on how you can help in the recovery efforts over the coming days, weeks, and months. Thanks to everyone who reached out and offered support and well wishes over the past week. The Banker horses are lucky to have all of you at their backs. If you heard about these special horses for the first time recently, we hope that you continue to follow us as we work to protect and preserve these critically threatened cultural treasures. 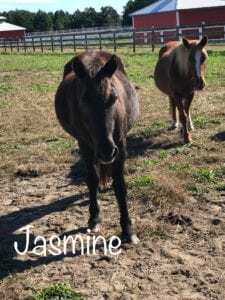 Wanted to give everyone an update from the rescue farm – we are fine! 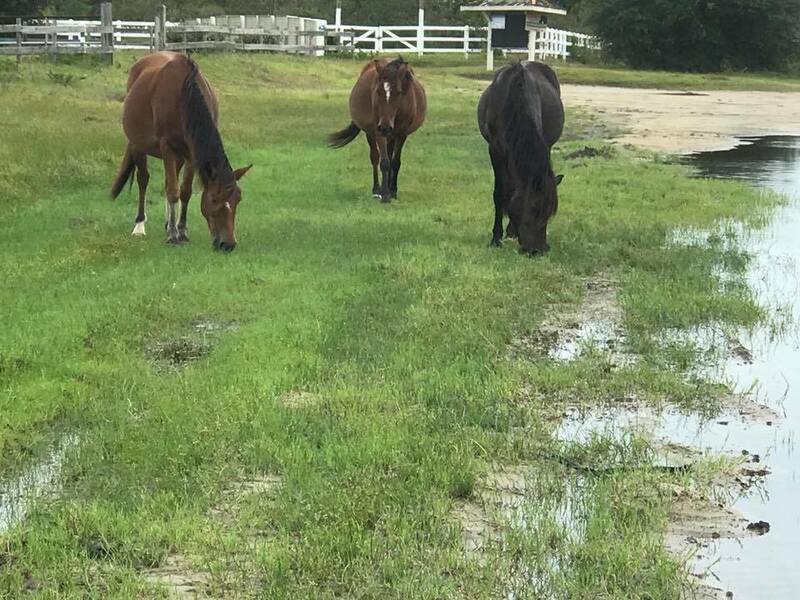 It’s just now starting to rain a bit and the horses are wondering what all the fuss is about. Water troughs are full, we’ve got generators on standby, plenty of hay, and there are three of us staying here on site with them through the storm. The storm has shifted south of us and we are no longer facing a direct hit. We are in no way letting our guard down, but we have to say we are breathing a little bit easier this morning. At the same time, we are sending good thoughts and positive energy to our friends south of us, especially the horses at Shackleford and the Foundation for Shackleford Horses. CWHF is a 501(c)(3) non-profit with a full time staff of just four people. 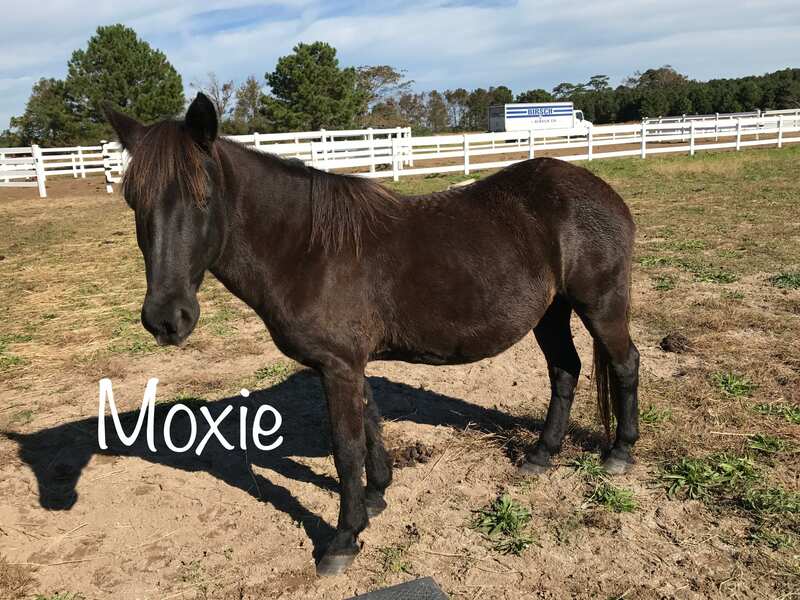 If you would like to help with the care and protection of the horses, a donation to the organization would be very much welcomed and appreciated. 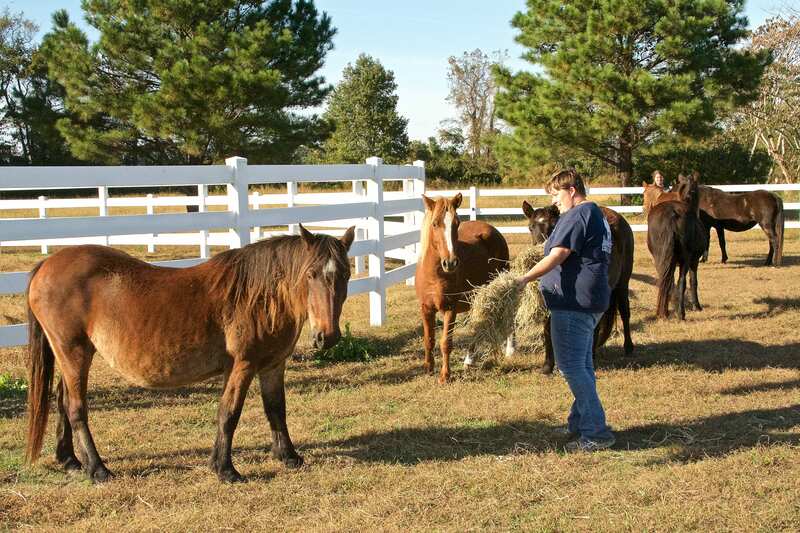 We have 18 rescued mustangs in our care, in addition to the 100 horses living in the wild. Thank you for the support! We will do our best to keep everyone updated throughout the storm. 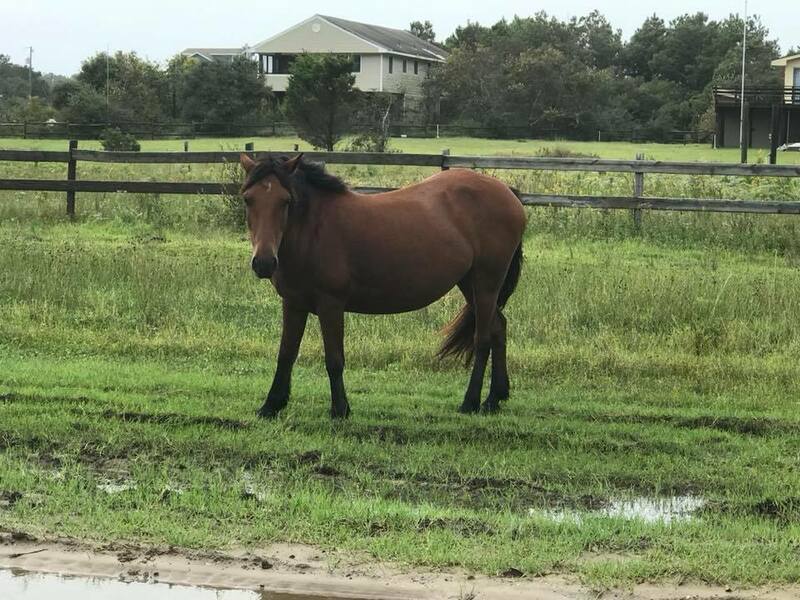 As of right now, Currituck County (where the horses live) is only evacuating tourists, but Dare County (Duck, Southern Shores, Kitty Hawk, Kill Devil Hills, Nags Head, Hatteras, etc.) has ordered a mandatory evacuation for all residents and visitors. 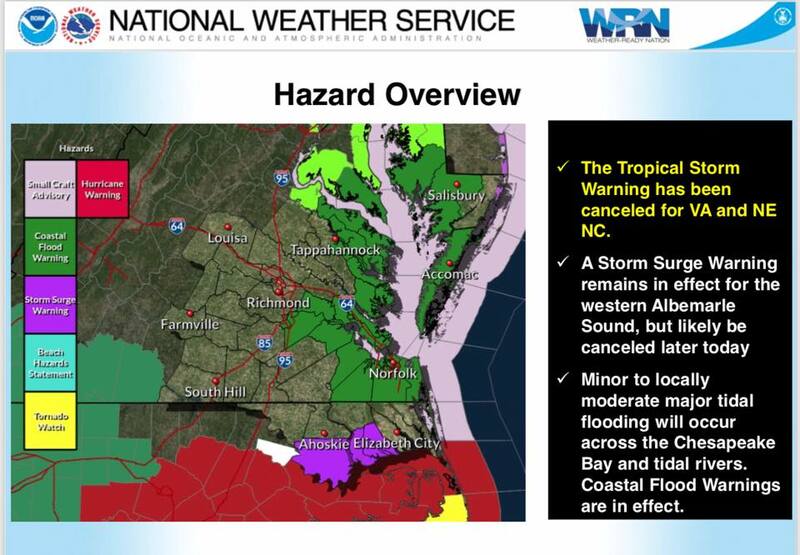 We are hoping that the storm tracks a little further south, sparing the Outer Banks a direct hit. We are expecting high winds, lots of rain, storm surge, and flooding. Most of our staff lives in Dare County. The horses have lived on this barrier island for 500 years, and they are well equipped to deal with rough weather. They know where to go to stay high and dry and are probably in better shape right now than most of us humans who are scrambling with final preparations. They are much better off without any help from us; anything we might do in the hopes of “protecting” them would probably end up being more dangerous and stressful for them than the storm. 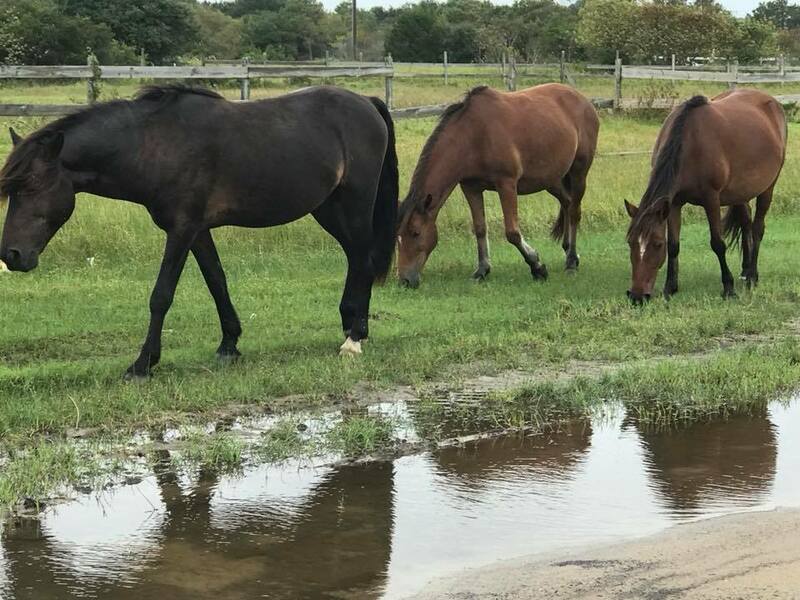 There are currently 18 rescued horses at our farm in Grandy, and right now our focus is on making sure they are ready to ride the storm out safely. They have shelter, but also the option to stay outside. 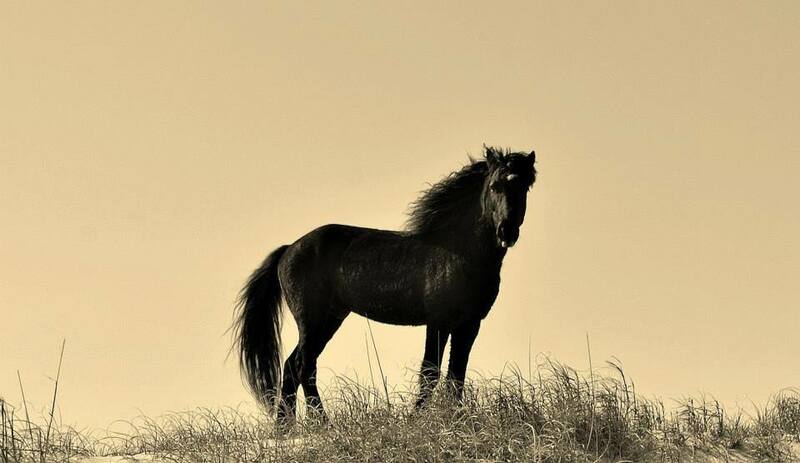 Just like with the wild horses, their instincts will tell them where to go to be safe. We have a generator, we have filled up all of our extra buckets and water troughs, everyone will have emergency ID braided into their manes, and someone will be staying at the farm during the storm. 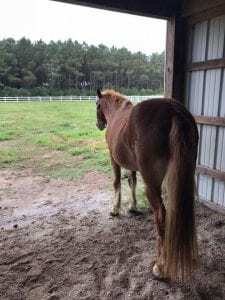 We believe that it is safer to shelter in place, since the majority of the rescue horses are still very newly tamed, not used to being stalled, and not used to being trailered. We will keep everyone updated as best we can. Thank you all for your concern and well wishes. We respectfully ask that unless you have an immediate emergency regarding a horse, please refrain from messaging us. We are trying to keep all of our lines of communication open and have very little time to respond to messages right now. If you are in the path of the storm too, please be safe! 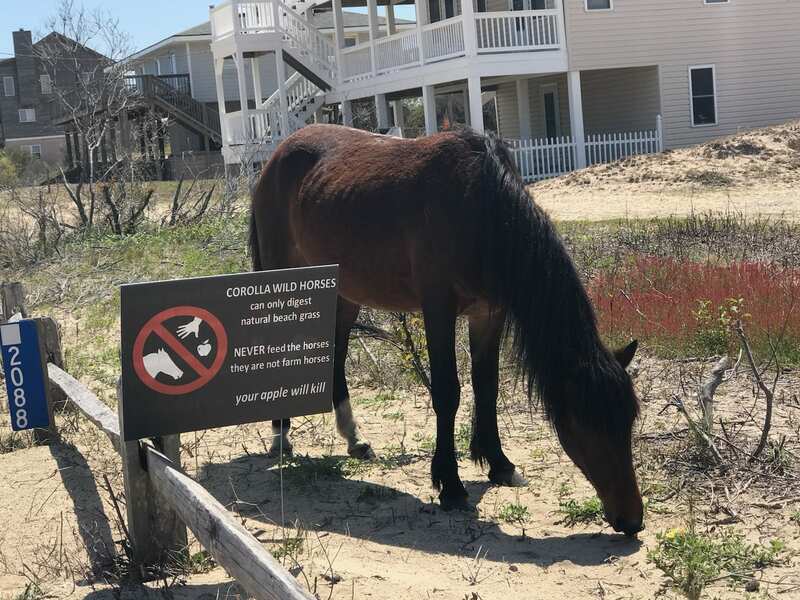 The Corolla Wild Horse Fund is pleased to announce the kick off to the “No Feed, No Approach” educational initiative to help educate tourist and locals alike about the dangers of human interaction with the wild herd. To kick off the initiative a 10’ x 60’ billboard message has been erected in Coinjock stating “Admire Don’t Feed! Apples and Carrots Kill Wild Horses.” The strong message is intended to make the public aware that wild horses cannot eat any food that is not from their natural habitat of beach grasses. The public is unaware that their snacks are harmful and often cause painful colic and may result in death. The billboard was kindly donated, for an indefinite amount of time, by Karen and Mac Quidley, owners of the structure that is on their private land. Payment of the vinyl wrap was provided by CWHF volunteer Kelly Wilkes and its installation was donated by Robert and Carol Givens of RO Givens Signs. Terry Douglas, a horse-loving graphic artist from Richmond, VA, graciously donated the design of the board. And there is more education to see and hear this season. 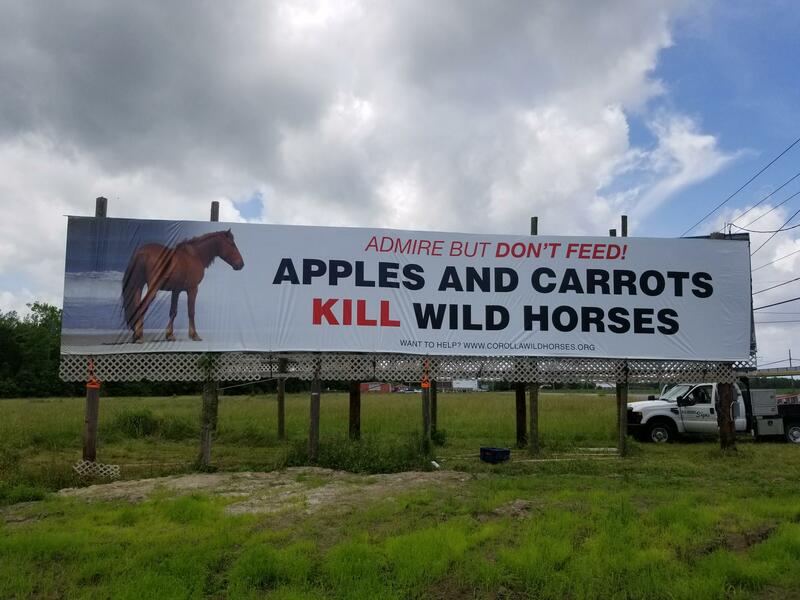 East Carolina Radio (ECR) and MAX Radio of the Carolinas will run public service announcements expanding on the billboard message about not approaching or feeding the wild horses and the harm that both can bring. Many Duck and Corolla retail merchants are donating time on their marquees this summer to promote the wild horse educational messaging. And property owners in the 4×4 area are posting yard signs to reinforce the no feed/no approach messaging. These signs are available at CWHF’s museum gift shop in Corolla. We invite any and all locals, community and business organizations, restaurants and merchants to join us in spreading this educational initiative. The community support has been overwhelming and heartwarming, and we believe through stepped up efforts to educate the public, tourists and wild horses will have a safer summer season. 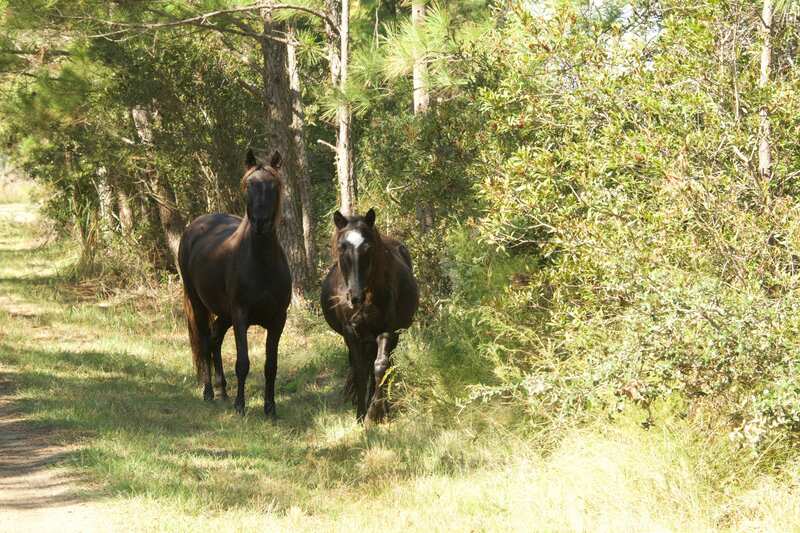 The Corolla Wild Horse Fund is a non-profit 501(c)(3) organization. 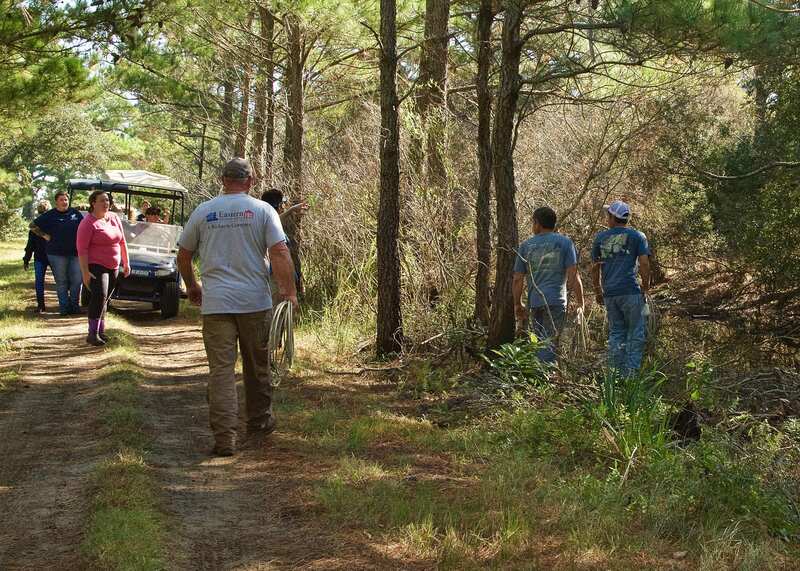 We are excited to announce that we have moved to a new area in Corolla. Our address is now 520B Old Stoney Road and is located in the SW corner of the same complex as the Corolla Visitors Center and ABC Store. Like any move, it is a lot of work, but we are extremely enthused about the new location as it is providing us with a larger space and allowing us to completely enhance the Museum & Education Center. 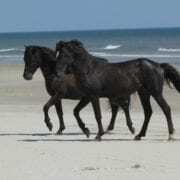 Our educational excursions to see the wild horses are offered on a limited, selective schedule. Reservations are only available by phone or by visiting our gift shop. 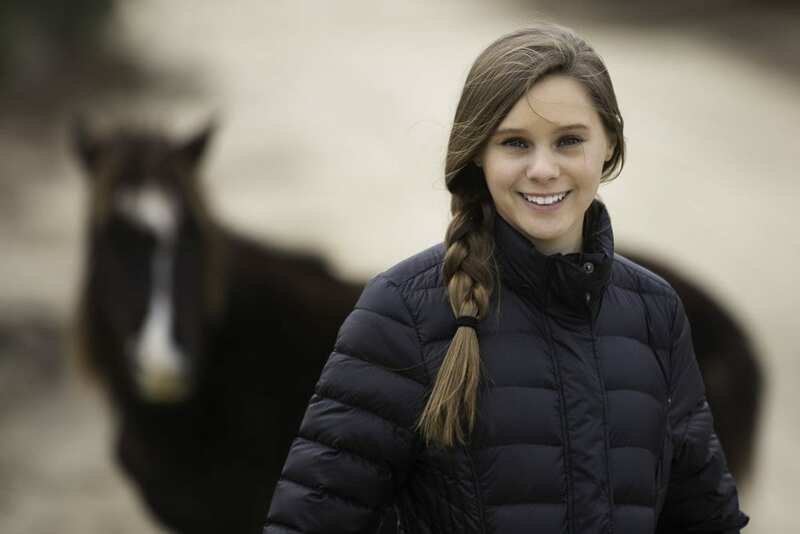 For her Girl Scout Gold Award, Krysta Rutherford has produced a beautifully edited and extensively researched film that looks into the present status of the Colonial Spanish mustang in North America. Her project mainly focuses on breeders and advocates who are working to preserve the different strains of Colonial Spanish horses by promoting the breed’s versatility, athleticism, and kind nature. 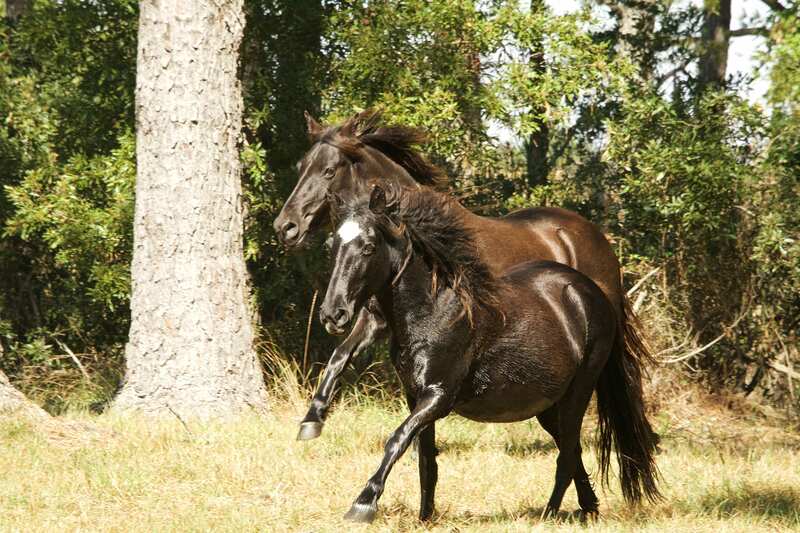 The main purpose of the Corolla Wild Horse Fund is to keep the Banker horses wild and free in their native habitat. We do this by controlled breeding through the use of non-hormonal contraception, education, habitat preservation, and breed advocacy. 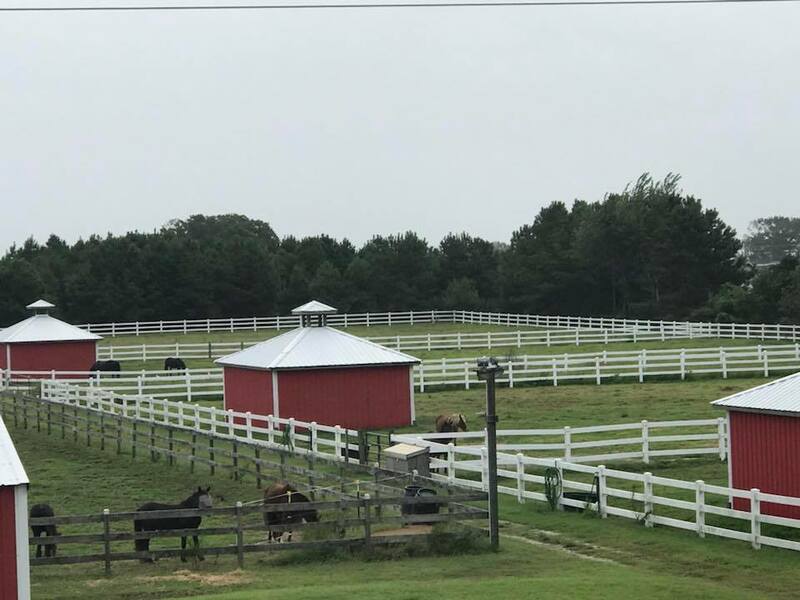 One of our goals is to establish a science-based captive breeding program that will be the foundation of a genetically stable population of Banker horses in captivity. We applaud the hard work these domestic breeders have put into promoting and preserving the Colonial Spanish breed. 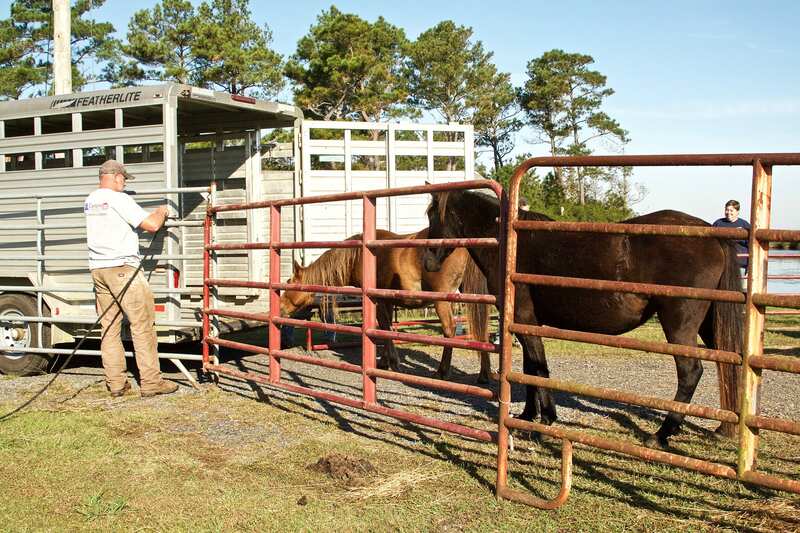 The objective of the Corolla Wild Horse Fund is to maintain, as closely as possible, the characteristics that make the Banker horses of North Carolina unique. 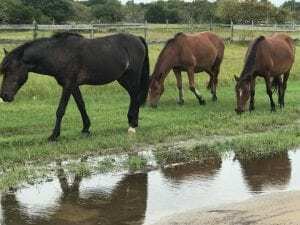 They are some of the last wild Colonial Spanish mustangs left in the world, and their wild status is a big part of what makes them so special. 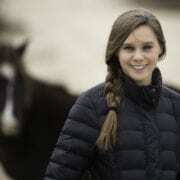 Learn more about Krysta’s project. 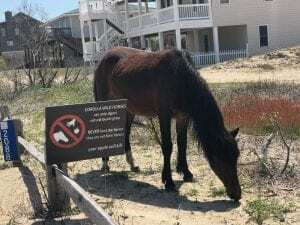 The views and opinions expressed in this film are those of the filmmakers and do not necessarily reflect the official policy or position of the current management of the Corolla Wild Horse Fund. And it’s only January! During the first couple weeks of 2018 we experienced record breaking cold temperatures that led into one of the most significant snow and ice storms that any of us can remember. 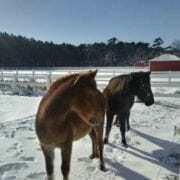 Luckily, horses and humans weathered the conditions just fine in the grand scheme of things, but the brutal cold has really done a number on our resources. To add to the strain, we are in the process of moving our retail location so our store and Trip of a Lifetime are shut down for the month of January. When temperatures drop below freezing (well below freezing in our case – into the single digits!) 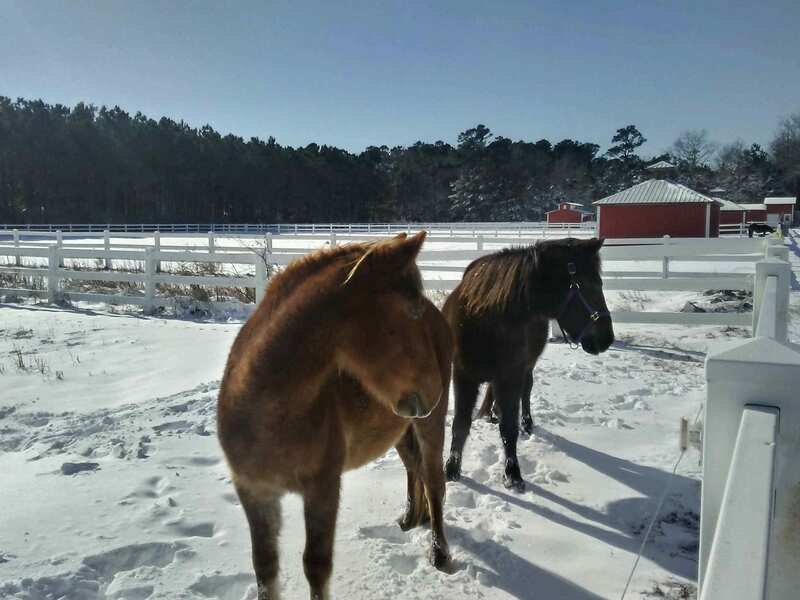 horses must consume more forage in order to keep warm. 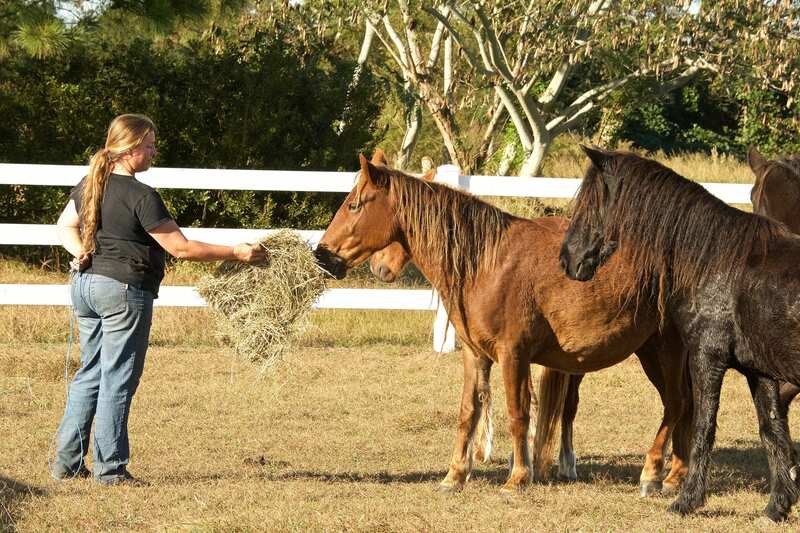 Horses are able to warm themselves from the inside out by constantly digesting food. 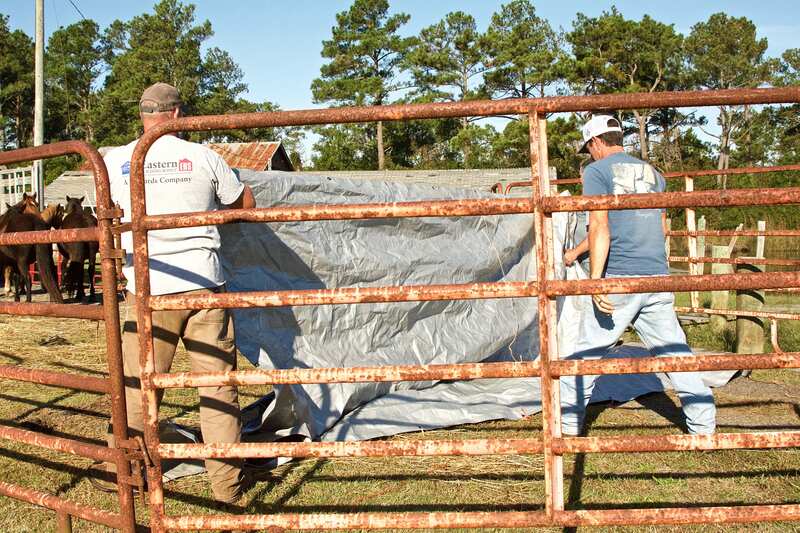 For the horses at the farm, this means they need access to hay 24/7. 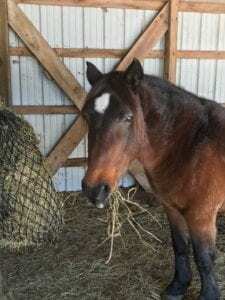 Over the past few weeks our horses have been burning through a lot more hay than usual and we expect this to be the case for the majority of the winter. 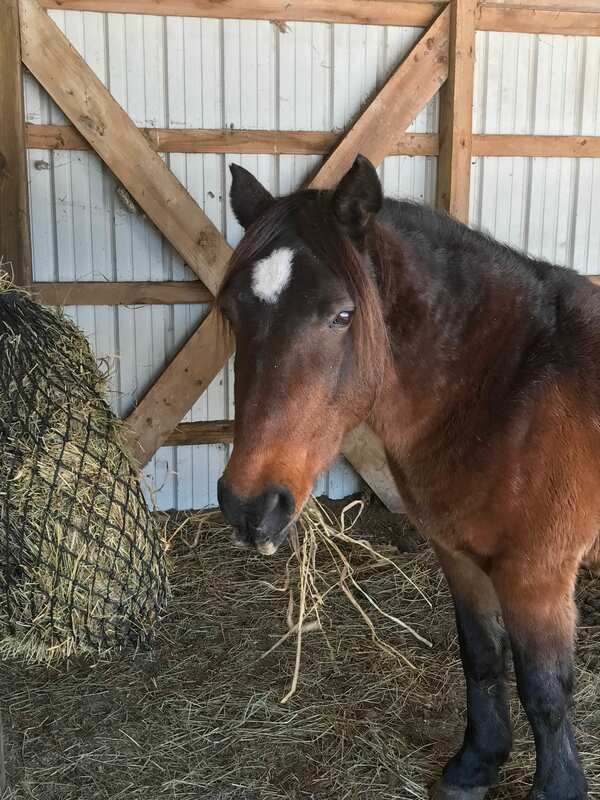 Consider our “Hay for a Day” program if you’d like to help us keep the horses fed and warm. 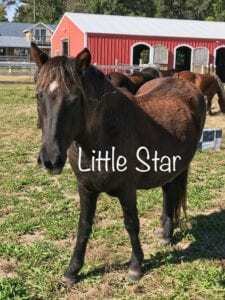 A donation of just $24 will feed all 12 horses for one day. During this latest cold snap we unfortunately lost two of our water pumps. Despite our best efforts to keep them insulated and warm, the sub-freezing o vernight temperatures cracked the pumps. Luckily we still have one that’s operating and we have hoses that can be linked together to reach all of the pastures, but replacing the two broken pumps will be costly. 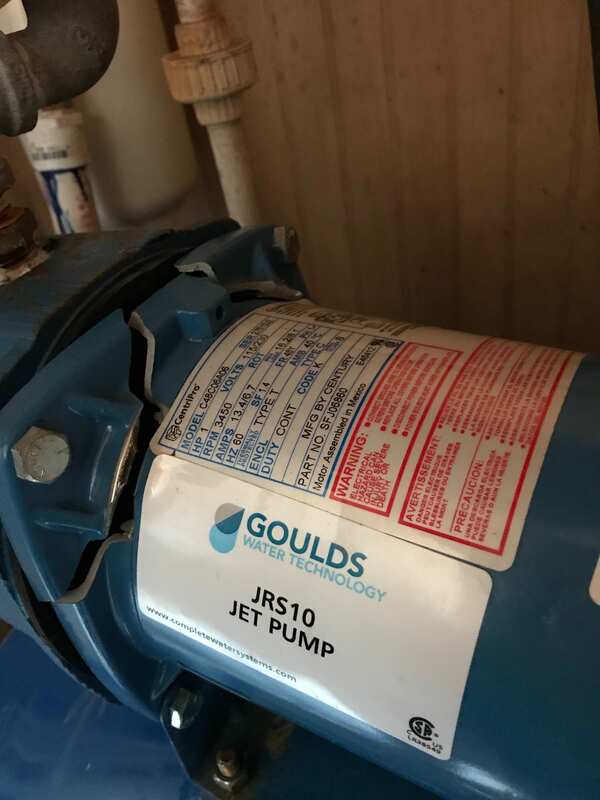 We would also like to have the pump houses, spigots, and pipes winterized a little better, and we are going to run electricity out to all of the pastures so that we can add additional heat sources (and fans in the summer!) if needed. If you’d like to help us out with the plumping and electrical work that needs to be done around the farm, you can make a one time donation via our website. Every little bit helps – give what you can and it will be most appreciated! Another thing that would really help us out right now are gift cards to Tractor Supply, Ace Hardware, or Lowes. Now that we know where our “weak” areas are on the farm we have some work to do, including adding additional insulation, purchasing extension cords, heaters, and lamps, and also additional tank heaters for the water, hay nets, and we really need a drag harrow for the pastures to help with manure maintenance when it’s cold like this. Gift cards to Valley Vet Supply would also be greatly appreciated! 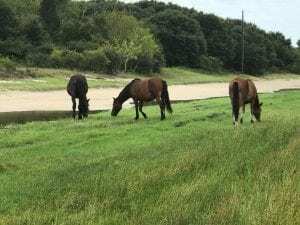 For the past twenty years there’s been a small but mighty group of Banker horses living on Dews Island, a strip of land situation just off the mainland and adjacent to the Wright family’s Cotton Gin and Sanctuary Vineyards in Jarvisburg. 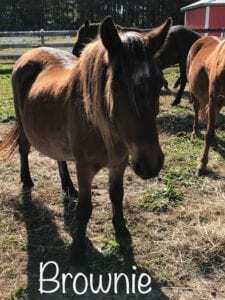 Early on in the Fund’s history there was no rehab farm, so horses that had to be removed from the wild were placed on the island and allowed to continue living a wild, but solitary and relatively confined life. 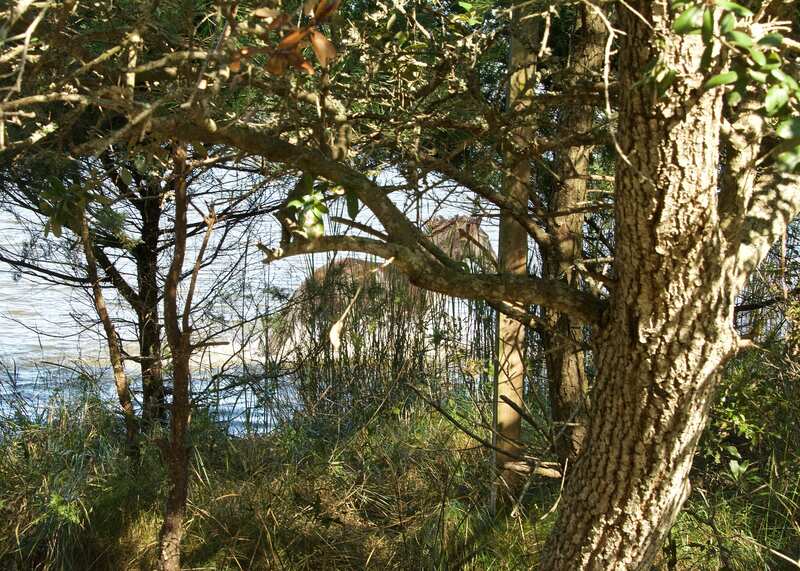 The island is also home to a historic hunting lodge, and is a destination for waterfowl hunters visiting northeastern North Carolina. 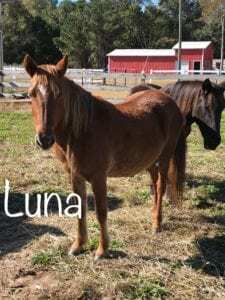 Last spring CWHF was approached by the landowners and asked to consider removing the eight remaining horses due to a variety of reasons. 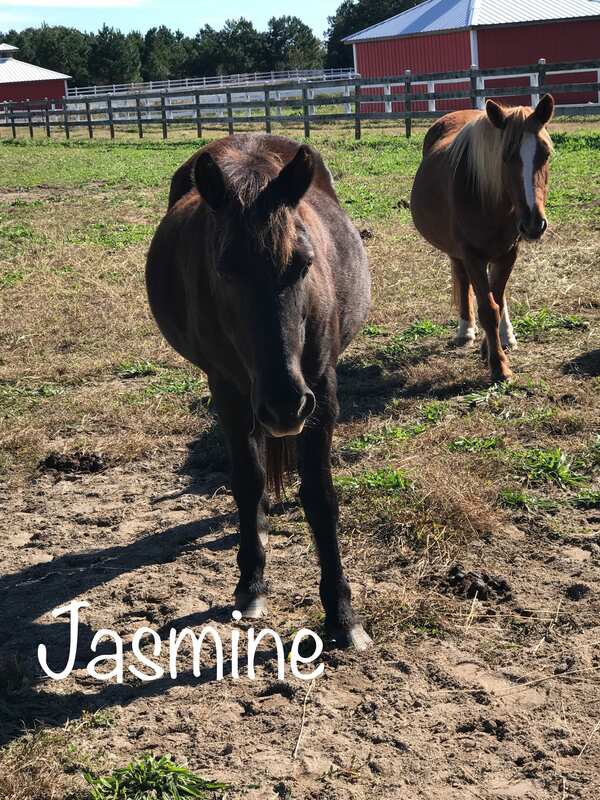 We knew we had our work cut out for us, but we were excited to welcome the mares to the farm and embark on a new – and challenging! – adventure. 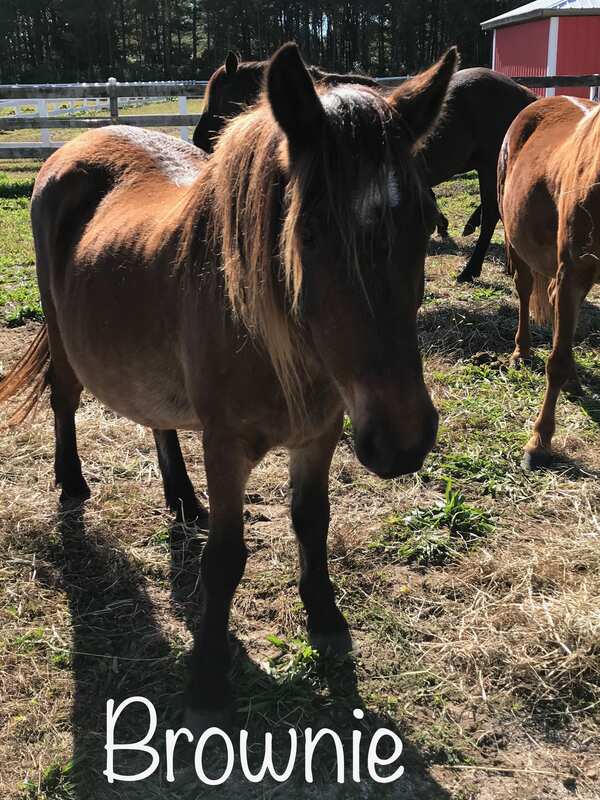 Our herd manager and trainer spent some time with the horses on the island, getting to know them and talking with the caretakers about their personalities, lineage, and history. They learned which ones were more personable, which ones were most likely to be a little cranky or flighty, who was related to whom, and who might give us a run for our money. One of the challenges we faced is that there is only one way on and off the island – a foot bridge. 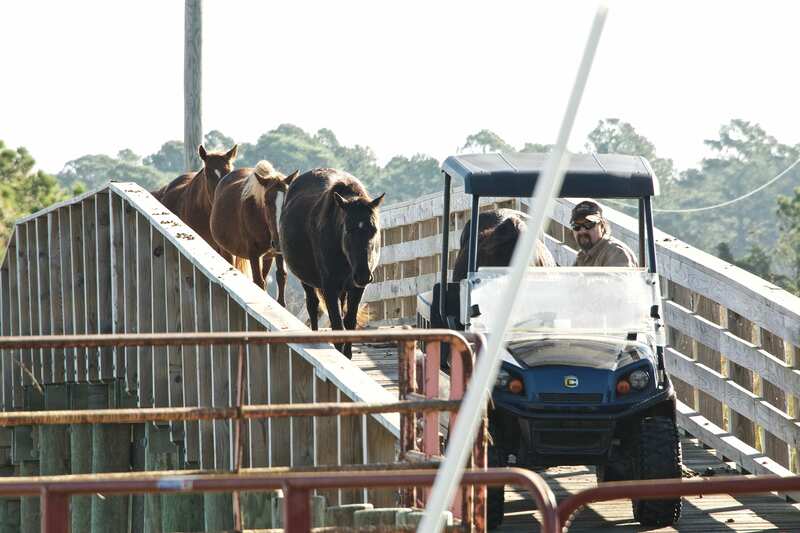 Our truck and trailer would not fit across the bridge so we had to figure out a way to move the horses over the water while still keeping them contained. 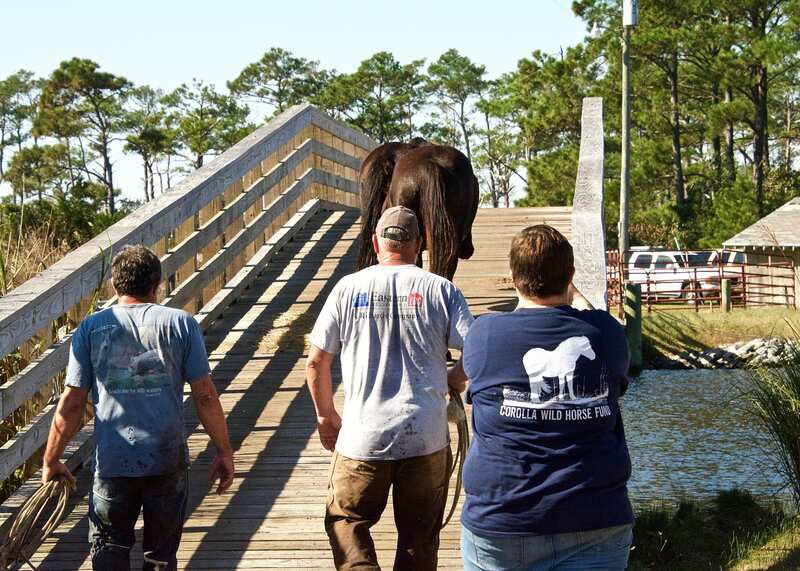 A week before the big move we set up a corral at the bottom of the bridge on the mainland side and their long-time caretaker Billy walked them over every day and fed them hay inside the corral. 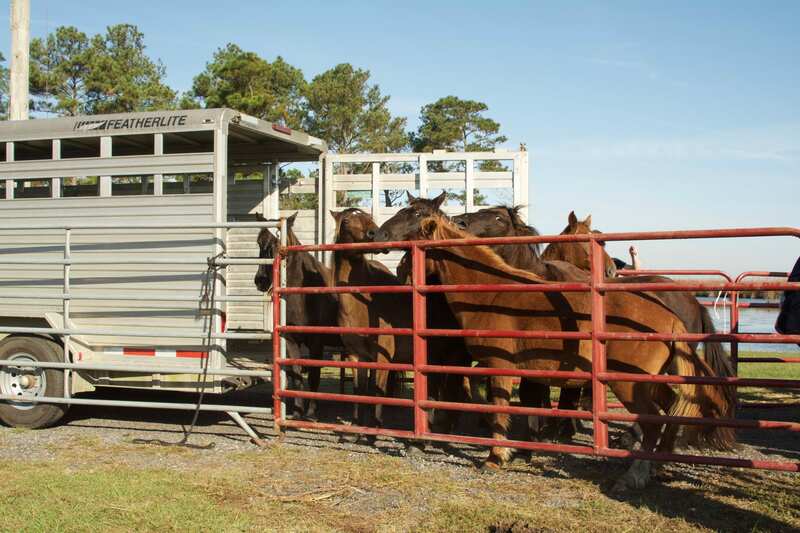 The last thing we wanted to do was stress the horses out, and this helped acclimate them to going into the corral so that the day of the move it wouldn’t be a shock to their routine. With the help of some WONDERFUL volunteers (including the same super cowboys who helped round up Roamer) the move went pretty flawlessly. Six of the eight horses quietly followed Billy over the bridge that Saturday morning and Mike, Steve, and Wayne easily herded them onto the trailer. 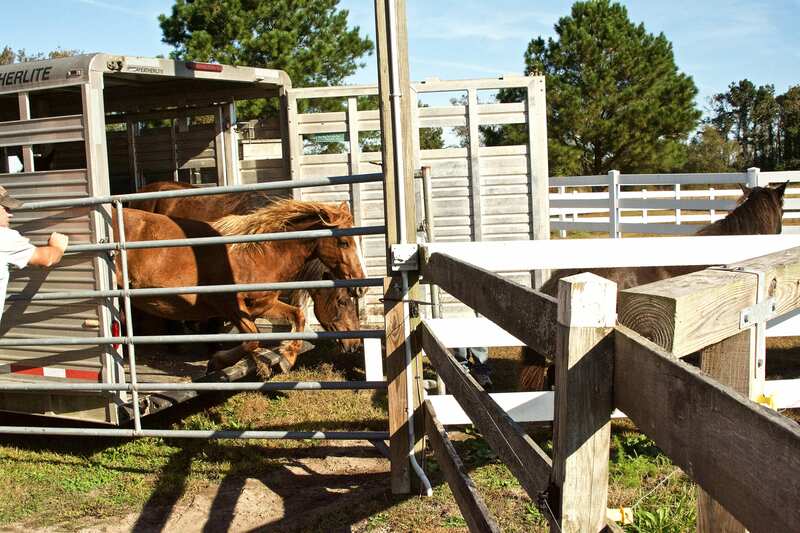 The trip over to the farm was quick, and the horses unloaded just as easily as they loaded. We were so relieved. There were two stragglers that we had to go back for, and who gave us a bit of a chase but in the end they were pretty cooperative and quickly reunited with their friends. Over the last couple of weeks the girls have settled into life on the farm. They are all in great shape and they’re getting used to having us humans around (they are very food driven, which helps!). We’ve gotten halters on everyone except Bella and Betty, which didn’t surprise us given their antics on the day of the roundup. But that’s ok! We’ve got all the time in the world to work on gaining their trust and cooperation. Billy leading the girls over the bridge. 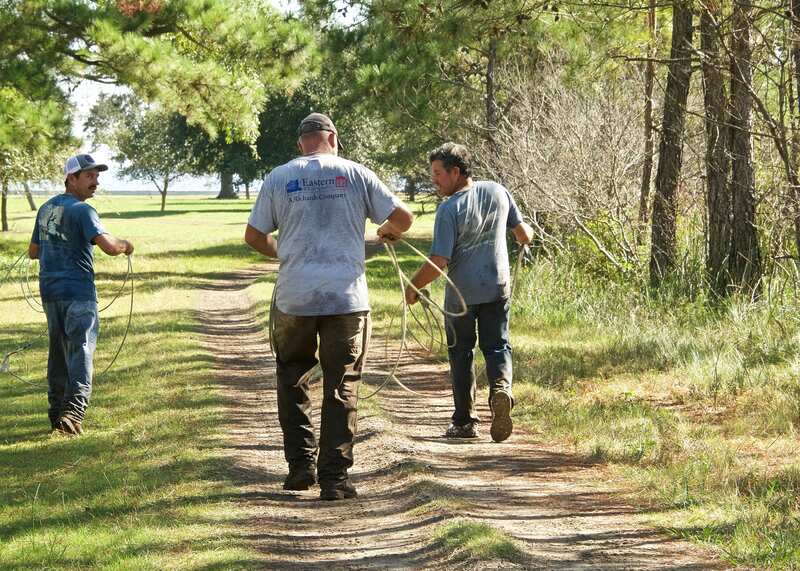 Wayne, Mike, and Steve push the horses into the trailer. And then we went back for the rebels. 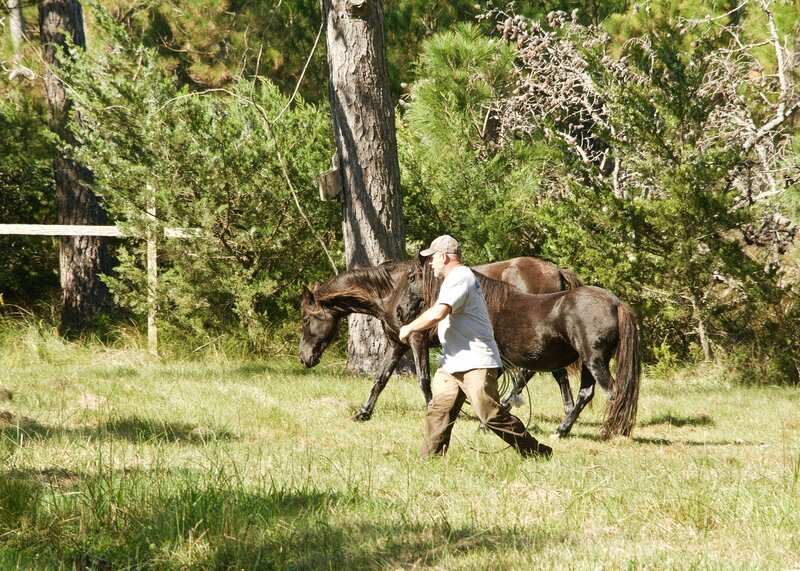 The guys jumped right into the marsh to follow the mares. Herding them towards the bridge. And they made it! Good girls. 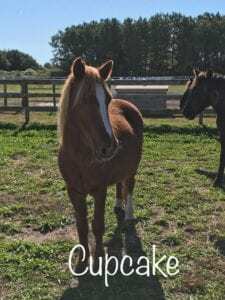 Back at the farm – a peace offering. 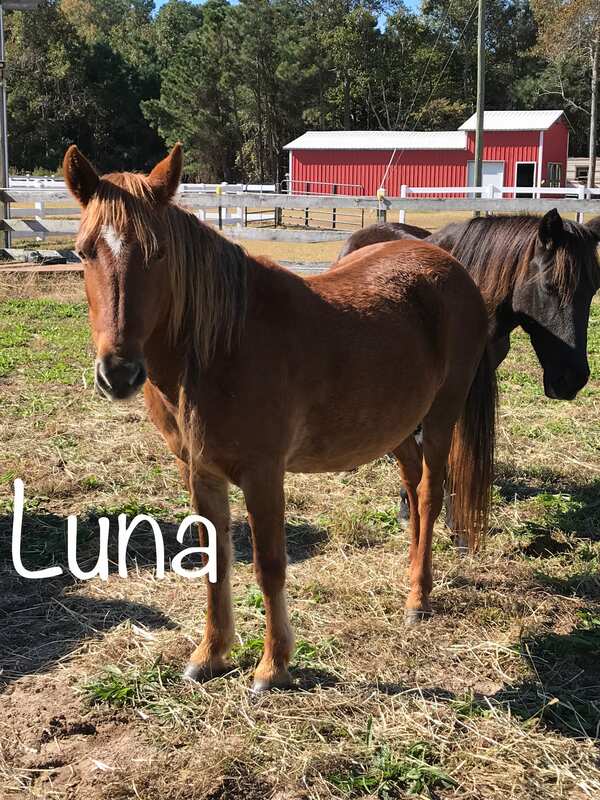 Luna checking out this hay stuff. Right now we’re focused on feeding all these new faces. They are out on pasture but since we’re going into the winter there’s not much grass which means our hay costs have increased exponentially. 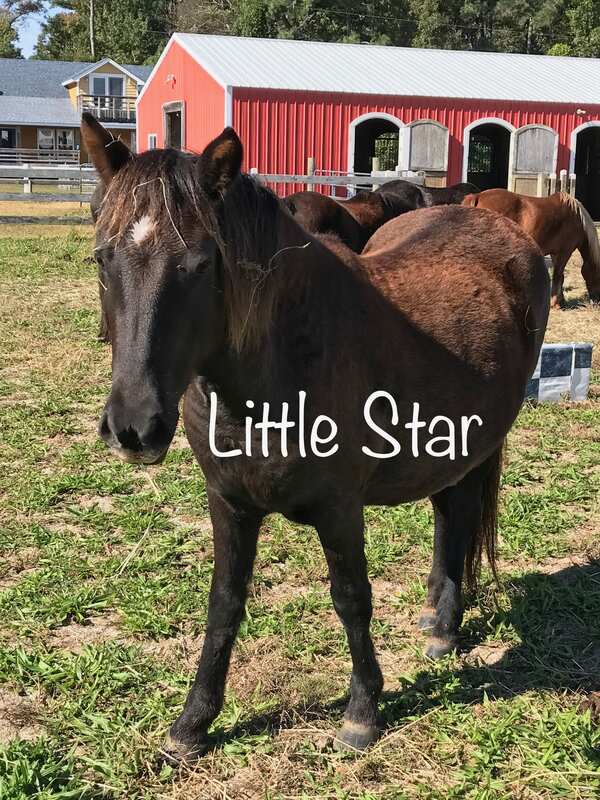 This Giving Tuesday, we’re asking for your help to make caring for the mares a little easier not just on our pocketbook, but our farm caretakers as well. 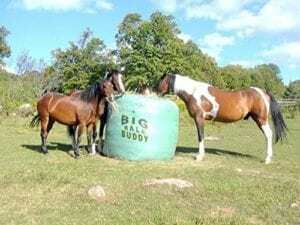 We have an amazing hay dealer who provides us with high quality forage in the form of round bales, but at this time we’re not really set up to leave the big bales out in the pasture for the horses. 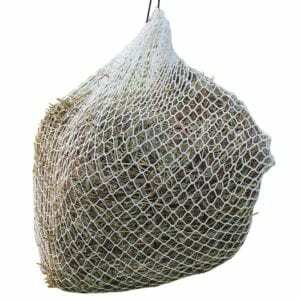 We want them to have access to hay at all times, and to assure that happens we need to invest in some new equipment. That’s where you come in! 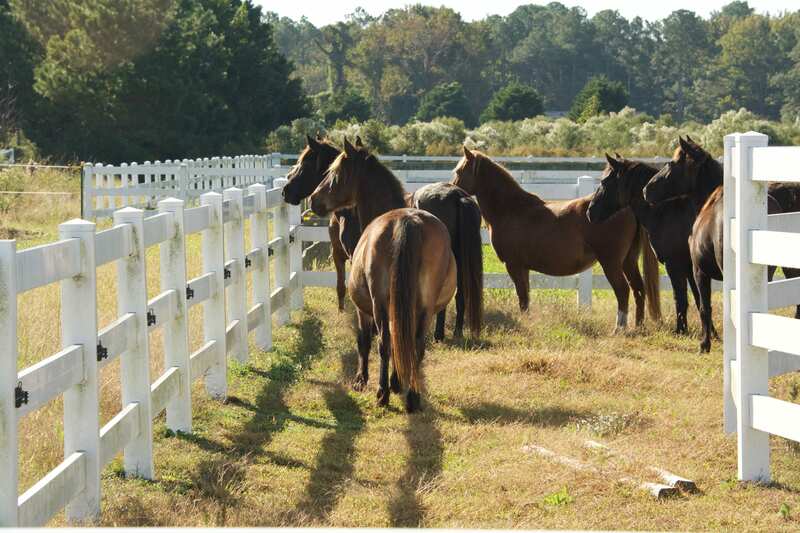 This #GivingTuesday, consider a donation to CWHF that will help us support the eight Dews Island mares. 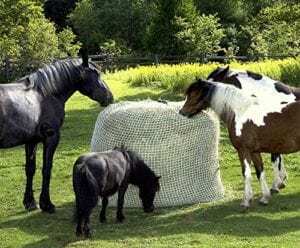 You contribution will make it possible for us to purchase large hay nets that fit over the round bales, as well as some new, smaller hay nets that will make it easier for us to feed all the horses every day. You can make a donation directly to the Fund by going here, or if you’re so inclined you can purchase an item and have it sent directly to us. Just click on the image to go to the corresponding Amazon page. 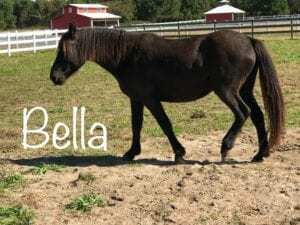 We’ll be bringing you much more about Brownie, Cupcake, Little Star, Luna, Moxie, Jasmine, Betty, and Bella! Thank you, thank you, thank you to our wonderful staff and volunteers who made this move safe and stress-free for the horses. Huge thanks to Beth Fleishaker for photographing the move, and to Wayne and Steve Mizelle and Mike Cowan for letting us use their trailer and driving up from Windsor to help get the horses moved. We couldn’t have done it without them! 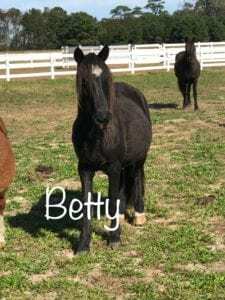 And of course our gratitude goes out to Billy and the Wright family for loving and taking care of the Dews Island horses for two decades, and for their help and support over the last few months. 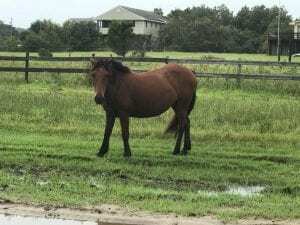 Tres ie is a 13 year old mare who was rescued from the wild in 2006 with a severely injured right hind hoof. After surgery and a cast for 6 weeks she recovered and is now completely sound. Tresie was adopted by a great family in 2012 but came back to CWHF in the spring of 2017 due to circumstances beyond the family’s control. 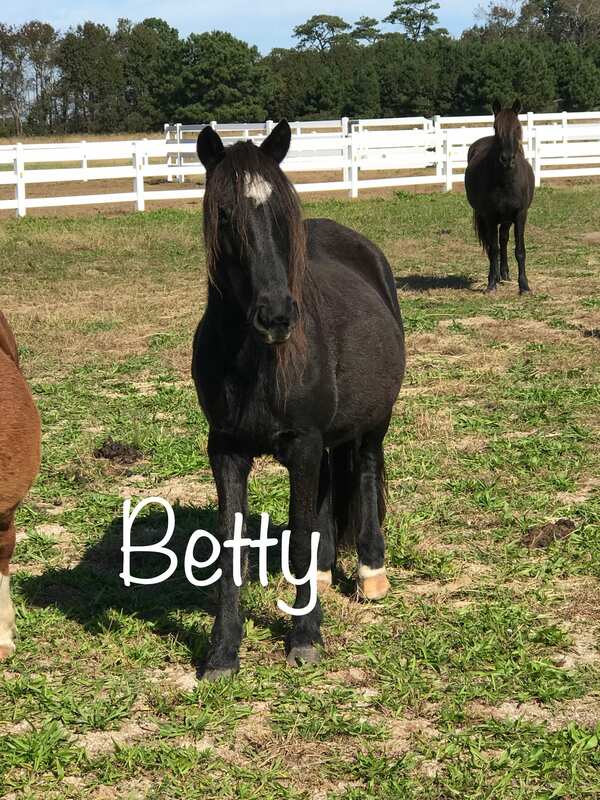 We were so thrilled to have this lovely mare back on the farm, but we were even more thrilled when she found her new little girl. 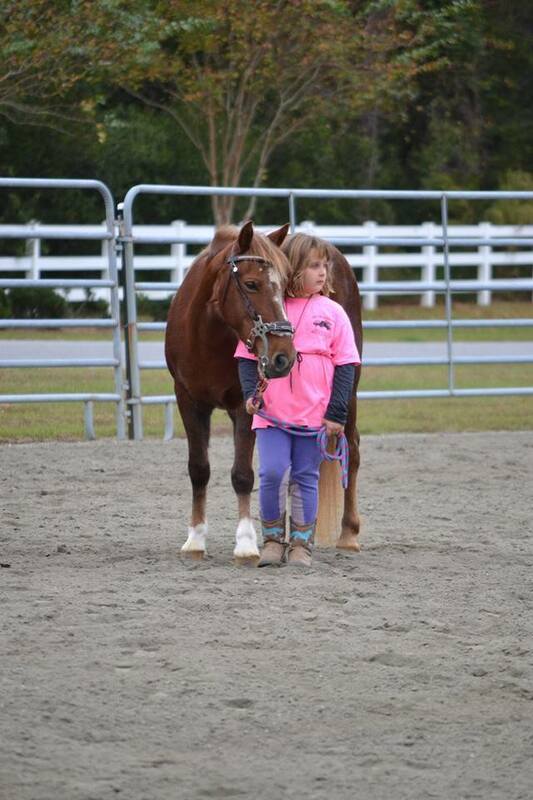 Grace is a member of the Wolfpack 4-H club and worked with Tresie under the supervision of our trainer. 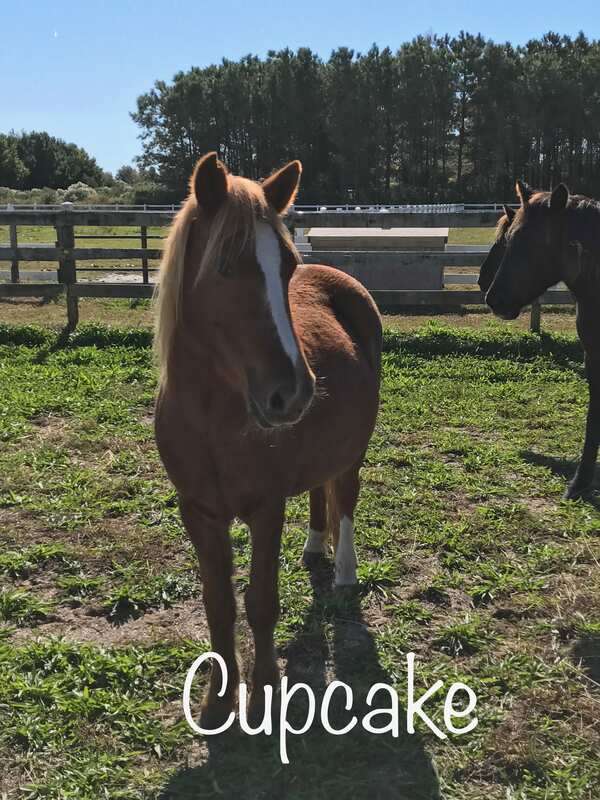 The Hampton family adopted Tresie in the summer of 2017 and she now lives on their Currituck farm with other horses, goats, and her best friend Grace. 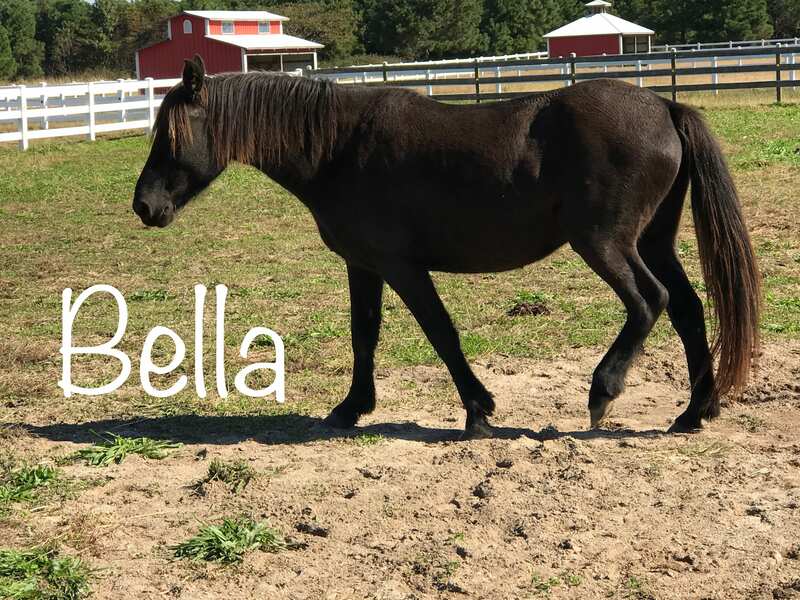 COROLLA – The Corolla Wild Horse Fund announced Thursday that the first foal of 2019 was born March 31.